Prince's death this April intensified the spotlight on an already-centerstage public health concern: opioid dependence, abuse, and addiction. The Centers for Disease Control and Prevention issued a new, no-nonsense set of guidelines for prescribing opioid pain relievers directed at primary care doctors this past March, just one month before Prince's passing, and Hillary Clinton has spoken publicly about including efforts to combat opioid abuse in her presidential platform. The situation is so dire that the trend in overdose deaths has been compared to the HIV/AIDS crisis of the late 1980s and early 1990s. OxyContin is one of the most name-recognizable prescription painkillers, falling under a whole class of drugs called opioids, also known as opiates. Opiates are usually given to patients to alleviate chronic pain, but are arguably over-prescribed and often with little physician oversight or understanding of the risks, opening the door to abuse. That abuse is getting out of hand, too: nearly 2 million people in the US over the age of 12 have a painkiller use disorder, so it's no wonder why many -- from politicians to government agencies to media to some pharmaceutical companies -- have labeled opioid abuse an epidemic. Why do opioids and opiates work so well? It all starts with the poppy, somewhat ironically known as both a symbol of medicinal power and death. As psychiatrist Anna Fels has noted, prescribed uses of the poppy plant (especially opium) and its descendents have been around for millennia -- opiates can refer to "close relatives of opium," like codeine, morphine, and heroin, while opioids include synthetic opiates like OxyContin, Percocet, Vicodin, and Dilaudid. Heroin is the only drug among those that's whole-hog illicit in the United States. That's a particularly odd medical quirk, especially since, when abused, OxyContin and Percocet function very similarly to heroin on brain chemistry. But why do these drugs feel so damn good? The human brain is essentially wired to respond to opioids, holding a concentrated collection of mu-opioid receptors ready to make you feel better at a moment's notice. Receptors send and receive messages in the brain, allowing neurons to communicate with one another; opioids send the message, "You are relieving your pain now." These receptors are present in several areas of the brain, namely the regions that manage perception of pain AND the regions that fire off feel-good sensations. Yup, the latter are the parts of your brain that tell you: "Whoa, you're high, buddy!" Opioid medications don't treat the source of the pain, though, which means they don't target muscular injuries, nerve distress, or bone disease. Instead, opioids funnel straight to the brain, the place where we process what the heck's going on elsewhere in the body, in a sense tricking the brain into not recognizing the source of discomfort. This is important. But here's another thing that mu-opioid receptors do: control respiration and blood pressure. "Opiates hit many different receptors [in the brain], and different receptors respond in different ways," says psychiatrist Dr. John Tsuang, director of the Dual Diagnosis Treatment Program at Harbor-UCLA Medical Center. Some opioid receptors elicit euphoria by eliminating or dampening pain perception and giving users a baseline high. Triggering the others stops breathing. The nasty, unforgiving aspect of opioids, though, is that the receptors for euphoria develop tolerance, so that high feeling wears off, and the patient (or recreational user) needs more OxyContin than before to chase that initial high. The ones that trigger breathing, though, don't develop tolerance. Put another way: the brain can demand more when the good feelings go away, but that same opioided brain can't tell itself that it's in danger. This phenomenon is true for any opioid, but the one-two punch of its long half-life and high concentration of oxycodone makes OxyContin particularly unpredictable. Opioids are some of the oldest drugs still used in the modern age. Fels cites the American Civil War as a key historical example of opium's medicinal value, as well as China and Britain's two Opium Wars as an indicator of the plant's economic allure. The staple crop made way for synthetic pills, she writes, adding, "Beginning in the 19th century, chemists derived ever more potent forms of this class of drugs: morphine, oxycodone, heroin, and codeine, to name just a few." Today, synthetic opioids retain that time-honored combination of medical import and dollar signs once enjoyed by their plant ancestors. But OxyContin stands out in a crowded economic field, netting $3.1 billion in profits and accounting for 30% of painkiller sales in 2010, even as it endured widespread criticism and massive lawsuits. That market share is pretty incredible, given its newcomer status in a class of drugs more than a century old in America. OxyContin, which is brand-name oxycodone, first appeared in 1996, manufactured and marketed by Purdue Pharma. The press release announcing the drug's entry into the marketplace ran with the headline "New Hope for Millions of Americans Suffering from Persistent Pain." That sounds... hopeful! The press release went on to extol OxyContin's revolutionary long-lasting, 12-hour formula. "Dosing with OxyContin Tablets on a regular schedule spares patients from anxious 'clock-watching' when pain must be controlled over long periods." In retrospect, the fact that people were anxiously "clock-watching" for the moment they could take another pain pill should've tipped doctors off to the fact that these drugs might be problematic, but hey, hindsight is 20/20. On top of that longer half-life, OxyContin is known for its potency. "OxyContin is a very strong opioid medication," says Dr. Tsuang. "It's one of the more potent opioid medications, and it doesn't have other stuff, like acetaminophen, in it." By contrast, Percocet touts the same active ingredient as OxyContin (oxycodone) but is notably milder, containing acetaminophen as well as a much smaller amount of oxycodone. Says Canada's Centre for Addiction and Mental Health, "Just one OxyContin pill can have the same amount of oxycodone as 16 Percocet pills." OxyContin contains a few inactive ingredients, but a single pill contains 90% oxycodone. It's high-octane stuff, in other words. Why Are People Getting High on an Anti-Diarrhea Drug? Purdue marketed OxyContin heavily as the go-to pain pill. The pharmaceutical company's sales team more than doubled following OxyContin's release on the market, and according to Pacific Standard, spent $200 million in 2001 on marketing, a huge amount even by the standards of Big Pharma. It worked. Doctors aggressively prescribed OxyContin -- physician Celine Gounder wrote that sales of prescription opioids quadrupled between 1999 and 2010, with the United States responsible for 80% of oxycodone consumption, despite accounting for only 5% of the total world population. And it might not be a coincidence that America has some lax rules when it comes to drug marketing, rules that became as lax as they've ever been in the late '90s, exactly as OxyContin was hitting the market. The "long-acting" component proved a key selling point for people managing pain. 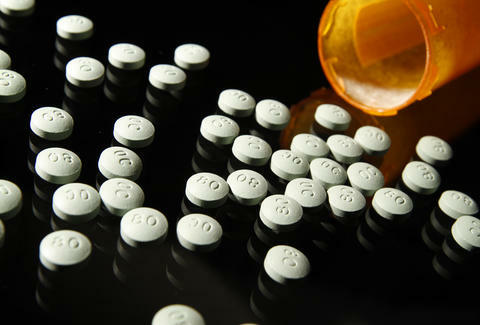 Making OxyContin long-lasting, however, doesn't diminish dependency, or risk. "Many MDs were cavalier in prescribing OxyContin," says Tsuang. "[They] didn't think it could be so addictive. In my mind, all pain pills are addictive. But OxyContin is one of the more potent ones." By October 2001, OxyContin found itself under federal investigation for its role in 282 reported overdose deaths in the previous 19 months. Fast-forward several more years to 2007, when Purdue was fined for over $600 million, and three top executives -- including the company's former medical director, Dr. Paul D. Goldenheim -- were sentenced to three years' probation and 400 hours of community service each. A hefty price tag, but Purdue's punishment was not necessarily unique in the pharmaceutical industry. Pfizer reached an $894 million settlement over painkillers Celebrex and Bextra in 2008, and earlier this year, Merck agreed to an $830 million settlement with shareholders in a multidistrict class-action lawsuit over painkiller Vioxx, which began when the drug company yanked Vioxx from the market in 2004. Merck also agreed to a separate $950 million settlement with the US Justice Department in 2011. The big difference for Purdue Pharma? OxyContin is the only opioid in this particular batch of litigatory prescription drugs -- Celebrex, Bextra, and Vioxx are non-steroidal anti-inflammatory drugs, the same class as aspirin and ibuprofen. Meanwhile, tabloids plastered the names of celebrities embroiled in prescription painkiller addiction scandals: Michael Jackson, Winona Ryder, Matthew Perry, Kelly and Jack Osbourne, Jamie Lee Curtis, Courtney Love, Eminem, Charlie Sheen, Anna Nicole Smith, Rush Limbaugh. 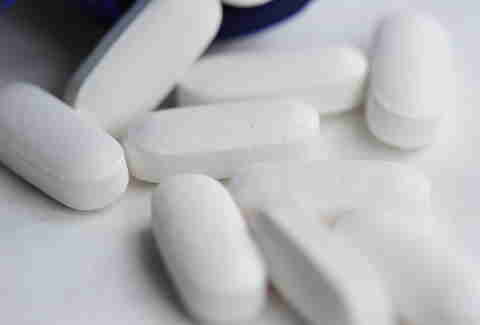 Painkiller abuse doesn't just affect the wealthy. 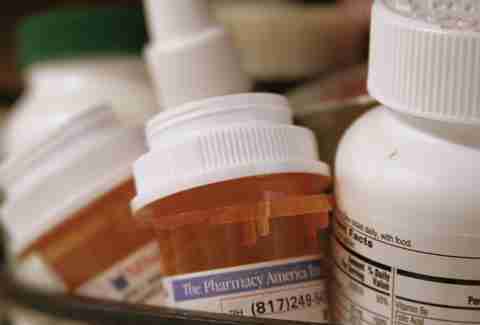 Reports surfaced of the growing trend of opioid medication abuse among teens in rural and suburban areas, especially common in small towns, "where teenagers find it easier to seek treatment at hospitals and walk away with the drugs." It's relatively simple for anyone to score OxyContin from a doctor's scrip or a parent's medicine cabinet, wealthy or not. On top of the ease of access, many doctors and addiction specialists are quick to point out that there's a misunderstanding of the risk involved, particularly since drugs like OxyContin aren't illegal. And for those suffering pain and taking painkillers at the behest of their physicians, it's easy to fall into a rhythm and regimen where dependency is probable, if not inevitable. Remember, too, that opioids don't treat the source of the pain, but the recognition of it. If the pain doesn't go away, but the highly addictive drug remains available, what's a patient realistically expected to do? The solution to a drug problem? Better drugs! Purdue Pharma and other opioid manufacturers have dealt with the huge fallout of their class-action lawsuits not by taking their drugs off the market, but by developing "abuse-deterrent" or "abuse-resistant" versions of existing drugs -- basically, doubling down on their business plans. The logic, as much as there can be logic in continuing to market these drugs, is based on the fact that opioids' effects on the brain are compounded when consumed frequently and quickly. To circumvent the likelihood of ingestion by either option, Purdue released an "extended-release" version of OxyContin in 2010. And in 2011, the FDA approved Pfizer's abuse-resistant form of oxycodone, called Oxecta, one that utilizes "aversion technology" to deter abusers from ingesting the drug in a way that would expedite the high-inducing effects. Among the safeguards built into the pill is a burning sensation emitted when snorted or injected, while swallowing it doesn't carry any unpleasant sensations. Unfortunately, abuse-resistant formulations aren't abuse-proof, and their effectiveness is questionable at best. Last year, 150 people in Indiana contracted HIV by sharing needles used to inject Opana, a prescription painkiller at one time touted to resist liquefaction for injection, and only 1.4% of filled opioid prescriptions in 2014 were for abuse-deterrent versions. On top of that, hacking a prescription pill is like hacking a computer: people dedicated to finding a way to take advantage of any fallacies, will. Says Tsuang, "In general, [abuse-deterrent versions] probably reduce the ability to shoot up, but people can still abuse [pills] by mouth" -- as in, patients can take larger doses than what’s doctor recommended by doctor shopping (seeing multiple doctors to get multiple prescriptions), and users that score OxyContin sans scrip can swallow however much they're able to buy. 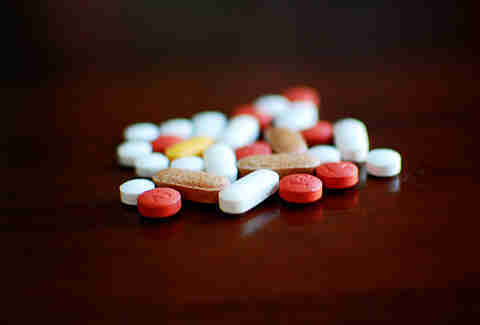 In fact, a quarter of users entering rehab reported continued abuse of the new "abuse-deterrent" version of OxyContin. Sooo... when people are addicted, they'll figure out a way to get their fix, which should come as no surprise. Here's another problem. There's an alternative, surefire opioid to turn to if supplies of crushable/snortable/injectible OxyContin and Percocet fall short: heroin. Heroin can be cheaper and, by its illicit nature, cannot be re-engineered as "abuse-resistant." Eight thousand people in the US died of heroin overdoses in 2013 -- that figure not only runs side-by-side with the rise of opioid medication abuse, but it's one that has tripled since 2010. Together, prescription opioids and heroin were accountable for 28,000 deaths in 2014. Much has been reported in recent years on the rise of heroin abuse in the US among all demographics, but teens are notably vulnerable in highlighting the relationship between prescription painkillers and heroin: 75% of high school heroin abusers started with prescription opioids. There's plenty of research needed on the effectiveness of abuse-resistant medications, and it remains to be seen whether or not the CDC's recent guidelines will hold much sway over the medical community. What's not debatable is that accurate drug education and opioid-specific dependency and addiction therapy are key. Substance abuse treatment is not one-size-fits-all, and many treatment centers don't meet the distinct needs that painkiller addicts face. This past March, West Virginia Senator Joe Manchin proposed five amendments to the Comprehensive Addiction and Recovery Act of 2015, which would fund education grants to "raise awareness about the risks of opioid addiction and overdose," as well as substance abuse treatment initiatives. Clinton's platform includes an opioid tax, similar in nature to alcohol and cigarette taxes, but one that would fund US substance abuse treatment programs (and includes exemption and rebates when used for specific medical care, namely cancer treatment). A doctors-only database in California attempts due diligence by granting licensed physicians the ability to see what other doctors might be prescribing their overlapping patients, aptly acronymed CURES 2.0. Reads its site, "CURES 2.0 (Controlled Substance Utilization Review and Evaluation System) is a database of Schedule II, III, and IV controlled substance prescriptions dispensed in California serving the public health, regulatory oversight agencies, and law enforcement." Programs like CURES 2.0 place the onus back on doctors, and remove at least some capacity for self-medication. It's taken several years of horrible headlines for the opioid epidemic to come under proper scrutiny by the US government and medical community, but bill proposals like Manchin's, as well as the bigger conversation surrounding risks and treatment needs, may soon be able to move the needle on public opinion that prescription does not necessarily imply safety. One thing's for sure: OxyContin, and opioids more generally, probably won't be going anywhere anytime soon. Stephie Grob Plante is a writer based in Austin. Follow her: @stephiegrob.